If there's a Nomadik review Part 2, there must be a Part 1. This box was received free of charge. All opinions and photos belong to Hiking For Her, an affiliate of The Nomadik. This time around, let's look at this month's box theme for clues about what to expect when we open it up. Each Nomadik box has a theme. Care to make any predictions about what could fit inside the box (think lightweight and streamlined) while giving you a stellar camping experience? For me, basecamp is all about relaxing, eating great food, and knowing that I have a comfortable home base after a long day of hiking or exploring. So, let's see what's inside the box. Get your own box here! Illumination, secure-ification and munch-ification - all in one box! Looks to me like we can get some good campsite vibes going with this box! This lantern will be reviewed in detail in an upcoming post (bookmark and check back for the link, coming soon). You can't even imagine how bright this little lantern is in the dark! Paracord is appreciated by all sorts of outdoors folks, hikers included. I've used amazingly strong and pliable paracord for stringing up bear bags, securing rafts on river trips, doing a field repair on one of my gaiters, putting up a tarp, tying up a snoring tent partner (nope, that was just a fantasy) and lots more. Use the paracord to hang the PowerPro Lantern above your stove if darkness falls before you can fill your belly after a long day on the trail. If you don't have faith that this little lantern can throw enough light for this task, read the lantern review (coming soon). It's blindingly brilliant (the lantern, not the review), and that's a very good thing. If you use a hammock as part of your sleep system, this cord will support you and your sleeping gear. Use the cleat as a tensioning device and say goodbye to knots. If you love to brag about your knot tying skills, skip this. For the rest of us who either can't remember which knot to use (I admit nothing), or have never learned how to tie a decent knot, these cleats are the way to go for securing a load. Readyman has a great explanatory video, with tips on how to get the most out of these lightweight but strong devices. To be honest, I would have never realized such a thing existed. Thanks to the subscription box, this little piece of clever technology arrived on my doorstep and made me curious enough to seek out that video and learn a new trick. The cleats found a home right next to the paracord in my emergency shelter supplies, and will ride along in my backpack from now on. No more frustration while cursing over bear bag knots (I admit nothing, again) as mosquitoes chew my your ears off!! Base camp means comfort food, right? Nothing boring about these seeds, so alert your taste buds. Those are great percentages when you're on a multiday hiking trip! It's reasonable to want to cost out the price of The Nomadik subscription service and compare the number to what you get inside the box. The lantern, a brand new item in 1TAC's equipment line, retails for $39.99. Thirty feet of paracord from GearAid sells for $6.50. $29.99 with a yearly subscription. I'll leave the "is it worth it?" bit of math for you to finish. The gear inside this box is unbelievably compact and lightweight, and there are dozens of ways to press it into service around your campsite or home. If you love monthly surprises combined with great gear from rock solid outdoor brands, The Nomadik is there for you! Be sure to read Part 1 for all of the membership benefits and details about this gear subscription service. And check out the update that follows, for another glimpse inside The Box! 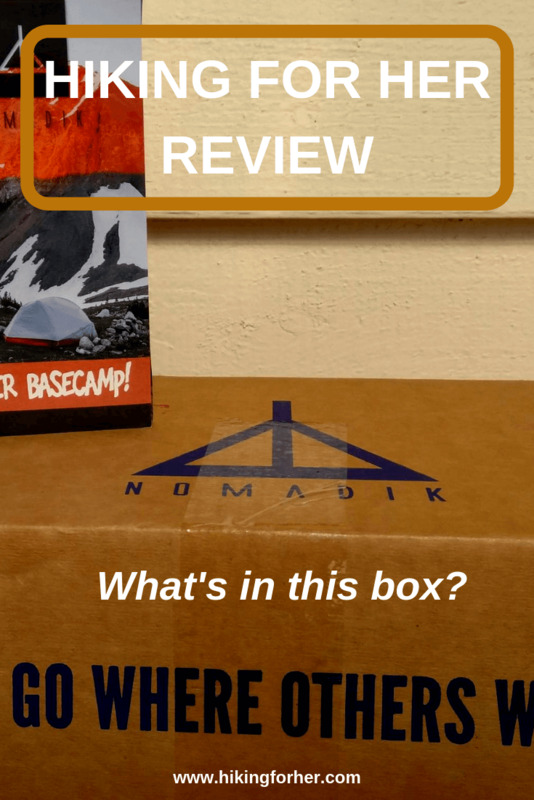 A third Nomadik box, stuffed full of great lightweight and functional gear. Plus one yummy trail treat. Hmm... what is all this "On The Go" stuff? It never fails to pique interest: the name of the box theme really gets those curiosity neurons firing. This month, On The Go calls to mind long road trips on amazing back roads to gorgeous hiking destinations. Which is why the Nomadik box contents are focused on your comfort and safety! Skratch Labs Original energy bar to keep you fueled, plus it goes well with that favorite beverage hanging out in the Conester! The Kammock tote bag is 100% up-cycled, meaning its fibers are sourced from left over hammock material. All of the other items fit easily into the bag, making it easy to keep things together and ready to roll. The EcoXGear charger is a USB rechargeable, waterproof and shock proof piece of technology it will be great to have riding along inside your backpack. The 2600mAh battery will keep your connection to the outside world going. The Conester cup holder is really versatile, holding all of your favorite mugs, travel cups, water bottles and any take out cups you might use during your road trip. It's got a snug removable insert, made of EVA foam, to guarantee it! Tuck it into the bottom of the Conester when you don't need it. Don't spill your coffee all over your dashboard or camp kitchen! Note the gap for the handle on the bottom right. P.S. That's my mug - not included in the box! This UCO fire starting kit is a welcome addition to my survival gear, with 12 hurricane matches (yup, guaranteed in high wind), encased within a waterproof case. The 3 strikers, tucked into the middle in plastic, are replaceable to extend the life of this survival gear. If you're not using Skratch Labs trail food, maybe you should take a closer look at their products. The energy bar in this Nomadik box has a good ratio of fast fuel (carbohydrates), sustained fuel release (fats) and satisfying protein, combined to deliver a snack packing 200 calories as part of your daily nutrient intake. And who can argue with chocolate chips and almonds?? All naturally sourced non-GMO food from plants, making this trail snack ideal for gluten free hikers, vegans, and those who need to avoid dairy because of digestion problems. Another peek at what's inside a Nomadik box. This is such a great way to build up a gear inventory when you're just starting out as a hiker and camper, because you don't have to agonize over what you need - it's in the box! You'll learn a few new tricks, too, if you read the handy brochure. High quality gear, at a fair price, carefully selected around a monthly theme from Nomadik. And if you're stuck for a gift for an outdoorsy mom, your trail buddy, or someone just getting started on the hiking trail, get a subscription rolling her way. 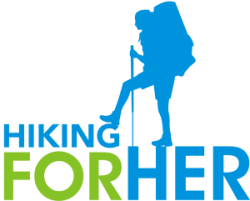 Hiking For Her is a Nomadik affiliate. When you purchase through the links here, HFH receives a small percentage of your purchase price.